This year is shaping up to be a good one for health-related gadgets, thanks to the new Bluetooth 4.0 specification and profiles. 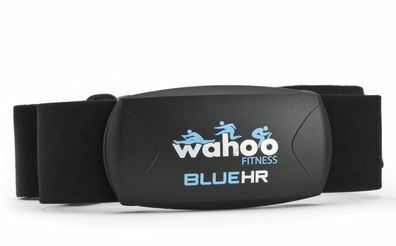 The $79 Wahoo Blue HR is among the first of these devices to take advantage of this low-powered wireless capability, and I took it for a 5-mile test run. There’s no need to charge the heart-rate monitor because it runs on a fairly standard watch battery that should last for at least a year. It’s great to see my heart-rate data after a run, but even more important to see it during a training session. The Wahoo Blue HR works with a number of apps, including a free native app. For now, you can only use this monitor with the iPhone 4S(s aapl) because most handsets aren’t yet using Bluetooth 4.0. That should change during 2012, however. And I foresee uses other than exercise tracking for these types of gadgets. Imagine doctors that can remotely monitor the pulse of their patients after a procedure or upon starting a new medication. For now I’ll just be using the Wahoo Blue HR during my road race and track-and-field training. At least until I get older and out of shape, that is; at that point, I’ll hope my doctor actually can monitor my health from afar! Does this new device consume more or less iPhone battery than the previous? I’ve been shopping around for a HRM and saw your review, just one question since you showed the data also tracked your pace for your run…was it all tracked with the HRM or did you also need the Wahoo pace monitor for your shoe? All of the pace / distance info is tracked by the app via GPS, so no foot monitor is needed. Runmeter, Cyclemeter and Walkmeter for iPhone are some of the “other” apps that support Wahoo ANT+ and BlueHR that Kevin doesn’t mention. These apps actually offer a deeper implementation and support for BlueHR and more precise health data, such as calorie calculations using heart rate and VO2Max, stop detection based on cycling speed sensor data, and split/interval/zone analysis summarizing more than a dozen data items. In the specific case of sports devices, what is the major advantage of Bluetooth 4.0 Smart when compared to devices using ANT+ which is layered on the older Bluetooth standards? You can pick up a Garmin ANT+ HR strap for $30-35 and it can stream data to any ANT+ receiver. You’ll also get 6-12 months out of each battery. Is it the fact that USB 4.0 is likely to be supported by generic devices such as smartphones and tablets? Good question, David. First, the Wahoo Blue HR is backwards compatible with ANT+, so it’s not going to obsolete the tech. But secondly, it doesn’t require any additional hardware: with some ANT+ devices you need a key or receiver that attaches to a phone, making it more unwieldy. Using native Bluetooth — in any version — eliminates that requirement. Regardless, I think you nailed it in your final sentence: more devices will include Bluetooth 4.0 with support for the new health profiles. It’s simply a more universal standard at this point in mobile devices. Very cool device, I’ll be purchasing one and testing it out in my office. We do a lot of fitness assessments for post MI patients. I’m still waiting for the day when we have a consumer ECG monitor like this one with remote capabilities. I believe the Droid RAZR also has Bluetooth 4.0 support… but whether any Android apps could handle the Wahoo Blue is another question. I’ve been pretty happy with the Polar Wearlink in combination with Cardiotrainer though.